This poster campaign deals with the topic of women’s rights in today’s society and in different cultures. Created in the spirit of social graphic design, it focuses on the massive oppression of women in different culture groups and countries around the world with the aim of raising awareness of the serious issue of the ongoing violence and assaults committed against women. 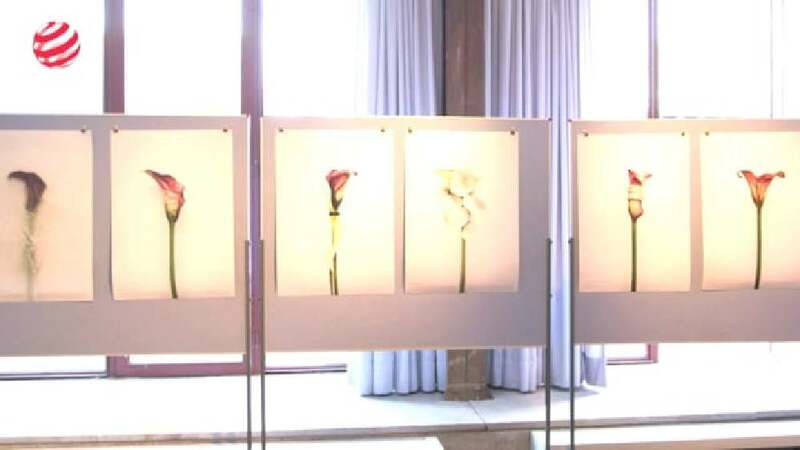 The individual posters symbolically represent the suffering inflicted on women through the motif of a flower, the calla lily, shown in various renditions. Serving as a symbol of innocence and love, the flower is manipulated artistically on each poster and shows foreign interference that hurts and even destroys them, such as a rope used to tie down and thus oppress women or acid used for mutilation. Each modification on the flower points to a form of violence that still continues to be committed against women on a daily basis without being avenged. [Statement by the jury] In view of the dominance and influence of moving and digital media, the spectre of the end of the classical poster has, in the last few years, repeatedly been painted on the wall. However, the eight-part poster campaign “Women’s Rights” proves that the expressiveness of this traditional medium continues to be utterly alive and contemporary. Just like all the other forms of communication, whether they be digital or analogue, it by no means leads an existence in the shadows. There are reasons for the uninterrupted relevance and topicality of posters: they offer a unique way to condense information. Image and text statements have to get straight to the point so that viewers can absorb and understand them the moment they see them. The great challenge for the designer is the limited options the poster offers. They make reduction and concentration unavoidable – and bring real talent for innovative, creative image ideas to the fore, as is apparent in an exemplary fashion in the “Women’s Rights” poster series. As social graphic design campaign, this series tackles the controversial topic of women’s rights in different cultures of the world. In doing so, it uses imagery with exceptional symbolic power that is also captivatingly simple. It is so striking and disturbing that it immediately won us over. We were almost unanimously convinced that it deserved this year’s Red Dot: Junior Prize. In a way that leaves viewers reeling, the eight designs successfully portray the cruel, inhuman violence experienced by women in certain cultures on a daily basis without the perpetrators being sanctioned. The focal point – the oppression and abuse – is symbolically depicted by the calla lily, a flower that stands for beauty and innocence. The designs show how different “external influences” damage or disfigure the flower. Designer Mustafa Karakaş has illustrated abuse such as stonings, isolation, torture, mutilation and forced marriages so incisively that the subject is clear without needing any words. The message is unambiguous and gets right under the viewer’s skin. The simplicity of the flower, formally without any frills, on a plain white background and the expressiveness with which violent attacks are depicted using simple means such as cuts to the flower or a cord used to constrict it, are moving. It is precisely the subtlety behind the disturbing combination of violence and beauty that creates a deeply emotional and lasting impression. We particularly value this subtlety in a time when it is usually only the loud and the shrill that are well received. Both the concept and the implementation of this socially sensitive topic have been solved magnificently. We were just amazed that a student, who had none of the experience of a professional designer to fall back on, was already able to develop and design an equally thought-out, emotional and aesthetic piece of work. Mustafa Karakaş’ aim: to draw attention to the continuing cruelties still meted out to women and to call for the outlawing of such practices and for help, has been achieved with brilliance. Our heartfelt congratulations on this distinctive, as well as memorable achievement.